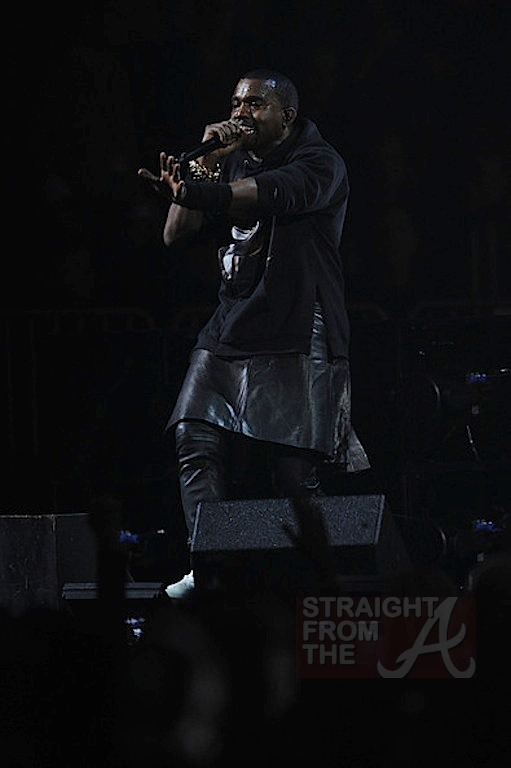 Word on the curb is that Kanye West borrowed one of Kim Kardashian‘s leather skirts last night. 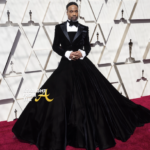 I kid. 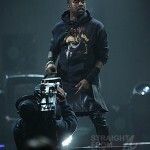 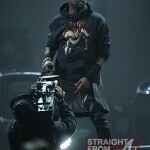 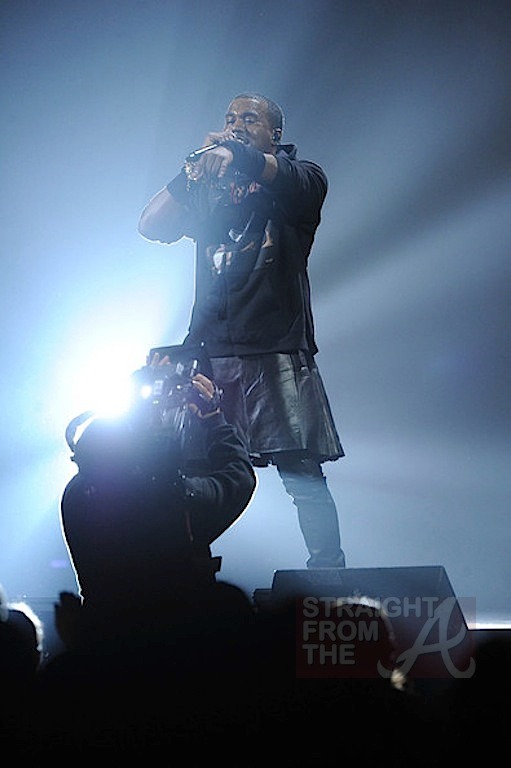 But seriously… Mr. West stole the show with his ‘fashion forward’ attire during Wednesday’s 12-12-12 concert benefiting Hurricane Sandy relief efforts. 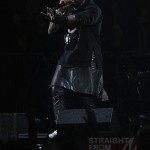 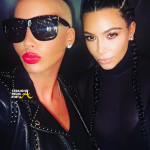 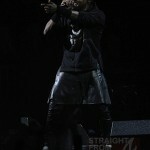 West, 35, took to the stage for his performance wearing a black Givenchy leather skirt and leggings combo. 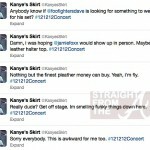 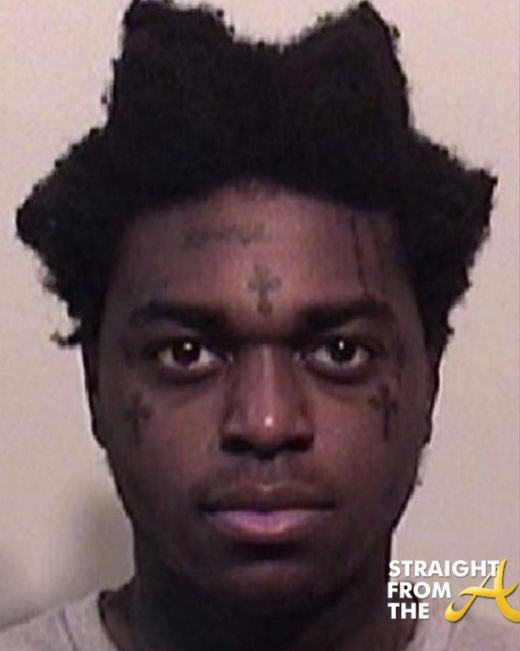 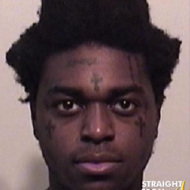 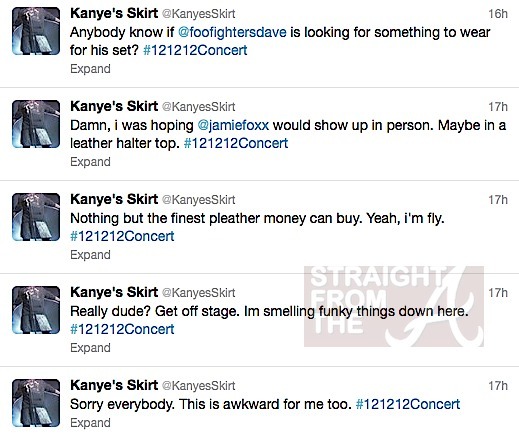 His look immediately drew hilarious comments and jokes online and Kanye’s leather skirt even garnered it’s own twitter account! 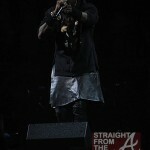 What do you think of men in skirts? 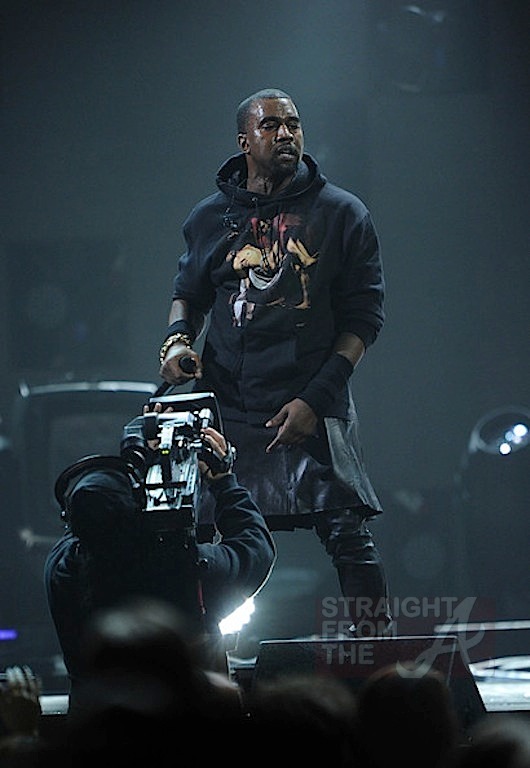 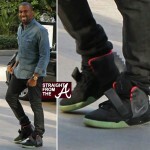 Is Mr. West’s “Fashion Forward” attire “Hot” or “Not”?